A short hike takes visitors to the top of Jockey Cap, where they can examine a massive igneous rock dropped by a glacier. A marker remembers Arctic explorer Robert E. Peary, who worked as a surveyor in the Fryeburg area in the late 1870s, shorty after he graduated from Bowdoin College. 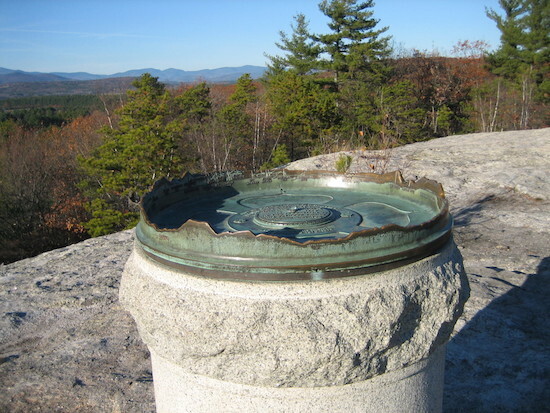 Peary’s sketch of Jockey Cap, a landmark in the White Mountains region, inspired the idea of a memorial. Jockey Cap Rock on Google Earth. 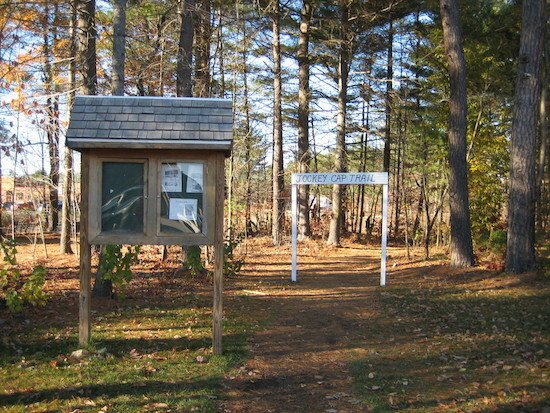 Photo courtesy of Maine Trail Finder. The Peary-MacMillan Arctic Museum and Arctic Studies Center, Bowdoin College, is pleased to acknowledge the Oak Foundation for generously funding the development, design, and production of this project, which was originally produced as a paper map. Additional support was provided by the Arctic Museum’s Russell and Janet Doubleday Endowment. Production of the website was supported by a Gibbons Summer Research Fellowship. We wish to thank four Bowdoin College students for their assistance. Lydia Woodward ’16 compiled many of the entries appearing in this brochure. Aidan French ’18 and William Wise ’18 did additional research on some of the Maine-Arctic connections. Xin Jiang ’20 prepared this website and did additional research.